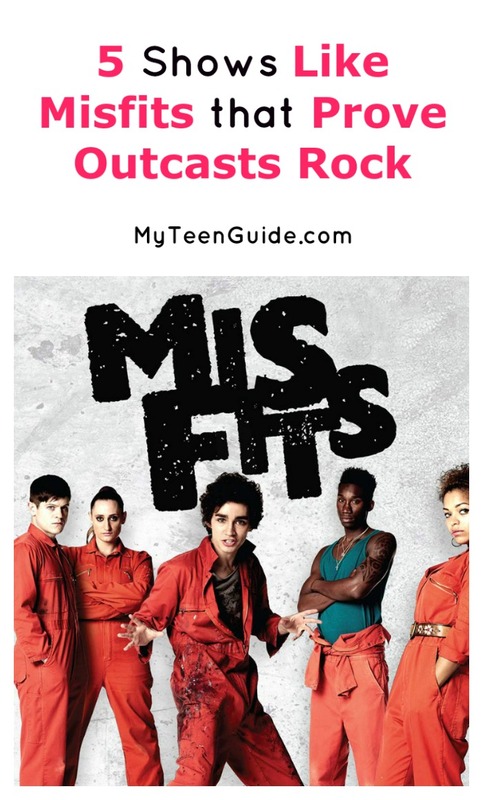 Looking for more great TV shows like Misfits? These five below prove that sometimes, being a bit of an outcast absolutely rocks! Misfits is a British science comedy and drama show that combines a relatable life situation with the supernatural. The show is about a group of teens who have committed crimes and are sentenced to complete a community service program. While working, the teens encounter an electrical storm that gives each of them supernatural powers. If you are looking for drama and supernatural in one show, Misfits is great! However, the show only ran for five series and the last series ended in 2013. If you are looking for a show to replace watching Misfits, here are five television shows that are similar. Being Human offers viewers a mix of horror and comedy into one show. The series involves a ghost, a vampire, and a werewolf who are living together in attempts to live as normal of lives as possible. As you can imagine, it is hard to blend in with humans or define normal when you are a mythical or horror-based being! The show has five series and 37 episodes. Being Human makes for the perfect binge-watching weekend. Skins is based in Bristol, England and portrays the lives of teenagers who are in high school and preparing for important exams. This teen and comedy drama incorporates all sorts of story lines to include mental illness, bullying, substance abuse, family dysfunction and many others that we can all relate to. The show was on air for six years and was a huge success. Each of the 61 episodes is sure to entertain. If shows about superhuman powers are your favorite, Heroes is for you! This show plays very similar to how a comic book is written were there are volumes and storylines within each volume. Heroes follows normal people who come to find that they have superhuman powers. The heroes work together to stop catastrophes and to keep people safe. There are 77 episodes and each one is well worth watching! Shameless is a UK and US television show that is the true definition of a dysfunctional family. While this show has nothing to do with superpowers or saving the world, Shameless is a great portrayal of everything that can and does go wrong with a lower-class family. With an estranged father, the family has to work together to pay bills, live and to do ordinary things that no child is expected to do. Each episode is funny but also mildly sad at the same time. Wonderfalls was a beautifully eccentric comedy-drama that aired on FOX back in 2004 for a very brief time. It centered around the life of Jaye Tyler, a sales clerk who received instructions to save people in need from animal figurines. That’s right, animal figurines. They came to life just for her and told her who needed saving. FOX only aired four episodes, but you can get all 13 episodes on DVD. While you can’t stream it on Netflix, they do have it available as part of their DVD plan (yes, people do still use that!). Do or did you watch any of the shows listed above? What are your favorite TV shows like Misfits? Tell us below in the comments!